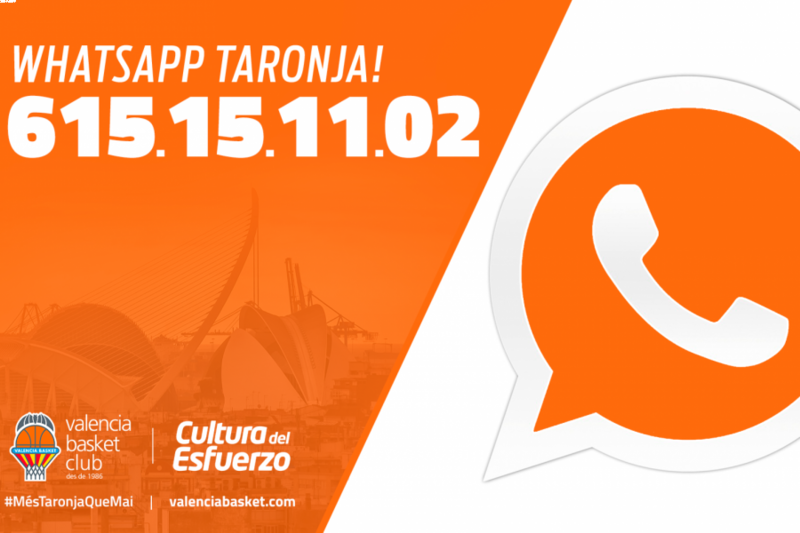 The Whatsapp Taronja, new communication service offered by Valencia Basket, could not have had better acceptance among fans Taronja. Just 5 days after the launch of the service, more than 1000 fans have subscribed to receive free information on upcoming matches, signings and news that occur in Valencia Basket both first team male and first female team. The service is already working and the Club has already launched its first publications.